Sturdy tourists usually continue to the Smutné sedlo saddle (1,965 m) when hiking in the main ridge of the West Tatras. 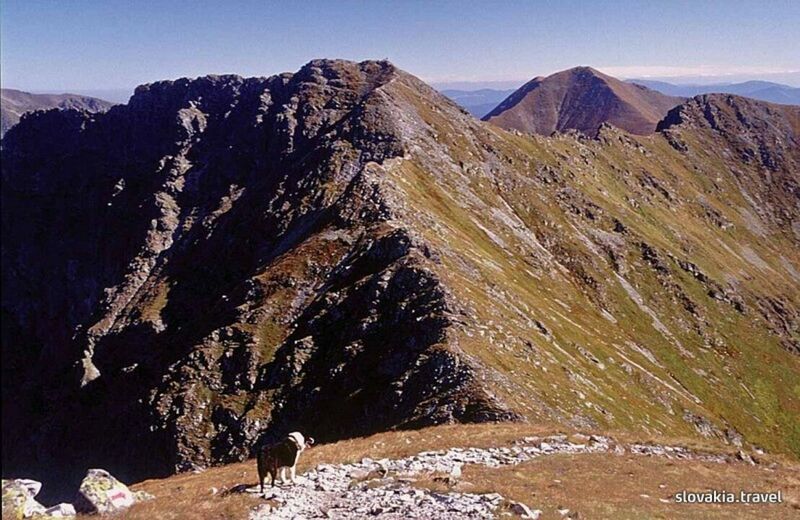 The first peak of the main ridge of Roháče Mts., east of Smutné sedlo saddle, is the Plačlivé Mt. (2,126 m). Together with the Ostrý Roháč Mt. (2,084 m) they form the typical mountain silhouette of the Roháče Mts. and the West Tatras. The third mountain of the Roháče triplet is the Volovec Mt. (2,063 m), a massive mountain that spreads over the Slovak-Polish border. It is, for the most part, a deforested, steep, dome-shaped mountain rendering perhaps the most exquisite view when compared to the rest of peaks in the West Tatras. One popular route in the Roháče Mts. is the trail leading around the lakes Roháčske plesá and to the waterfall Roháčsky vodopád.